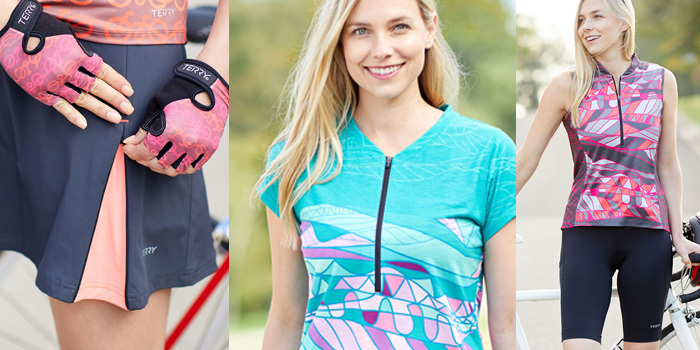 WHAT'S NEW IN TERRY WOMEN'S BIKE CLOTHING – SPRING 2019. - Terry Peloton. 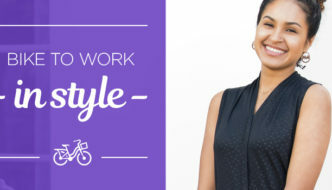 You are here: Home / Sidesaddle Blog / WHAT’S NEW IN TERRY WOMEN’S BIKE CLOTHING – SPRING 2019. 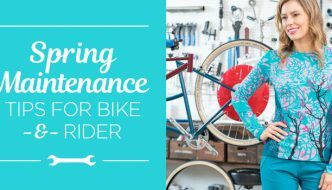 WHAT’S NEW IN TERRY WOMEN’S BIKE CLOTHING – SPRING 2019. This year, we’ve been even busier on our product line than usual, and the result is a bumper crop of colorful styles and patterns. The new season’s introductions are visually stunning, but we also came up with a host of technical and functional innovations. Here’s a round up of some of the most exciting new developments in the Terry line for Spring 2019. An exciting new option for cyclists who need a high compression performance short, combining new levels of comfort and convenience. Holster Prima Bike Short brings you softness, delivered in the gorgeous fabric and non-chafing seam construction; comfort leg bands and high rise waist; a premium performance chamois, and to complete the package: deep, stretchy pockets. We’re going to new lengths for your comfort! The Bermuda is our longest inseam short to date – at 11″ it gives you coverage almost to the knee. Using the same silky fabric as the Breakaway short, the Bermuda also boasts a high rise waist, gripperless legs, phone-friendly pocket, all at a very attractive price point. 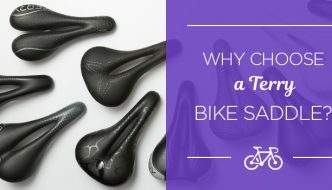 Bike friendly, ultra-practical and stylish too! The Zipper Bike Skirt brings an innovative approach to solving problems encountered in some parts of the world by female touring cyclists – frequent wardrobe changes to allow for both appropriate dress and comfort. Now one garment makes the transition easy and convenient. The Zipper also adds some unique flair, with strategically placed zippers that tighten everything down or unzip to allow a little colorful expression with extra freedom of movement. Now in a full array of leg length options: 5, 7, and 9 inches. The Chill series offers the flattering comfort of legs that stay in place without leg bands – no bulges, no pinching, no dreaded sausage effect! The Chill is a high compression, high comfort short that quickly became a firm favorite among Terry staff. It’s not all about bottoms – we also unveiled a great selection of new cycling tops for Spring 2019. The Wayfarer is a highlight – an all new relaxed fit bike jersey for all day touring comfort. We developed it around a performance fabric that feels as good as natural fiber, tailored it for a flattering silhouette, and loaded it with features for cycling convenience and comfort. Shop all the new arrivals on our website.